Below you fill find all funeral homes and cemeteries in or near Port Allegany. Suburbs of Port Allegany: Pt Allegany. Port Allegany is also known as: McKean County / Port Allegany borough. Zip codes in the city: 16743. Port Allegany is a borough in McKean County, Pennsylvania, United States. 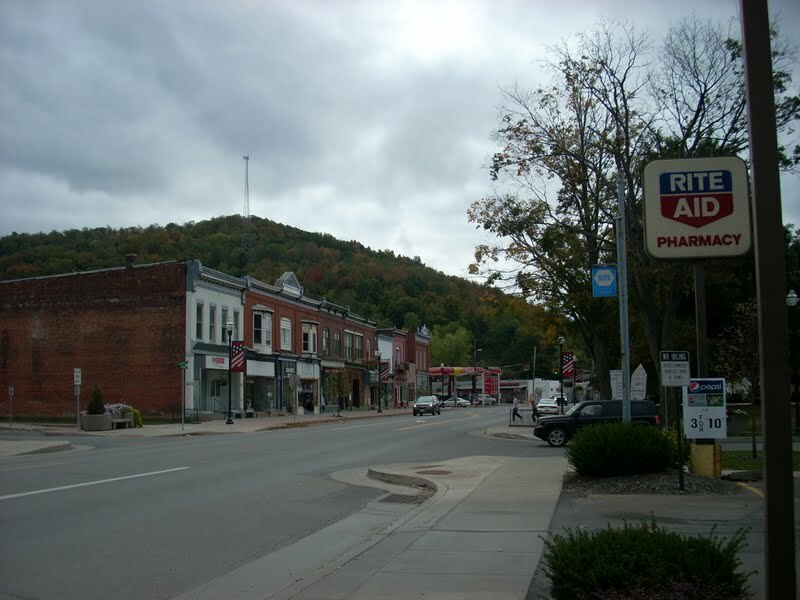 The population was 2,355 at the 2000 census.The town's tree-lined streets lie in the foothills of the Appalachian Mountains, 30 miles west of the Allegheny River's headwaters. It was disclosed by Odessa American on April 5th, 2012 that Sherman L Freer perished in Odessa, Texas. Freer was 89 years old and was born in Port Allegany, PA. Send flowers to share your condolences and honor Sherman L's life. It was written by Tonawanda News on November 5th, 2011 that Albert R Fitch passed on in Wellsville, New York. Fitch was 94 years old and was born in Port Allegany, PA. Send flowers to express your sympathy and honor Albert R's life. It was disclosed by The Bradford Era on July 2nd, 2011 that Geraldine L Anderson perished in Port Allegany, Pennsylvania. Anderson was 76 years old. Send flowers to share your condolences and honor Geraldine L's life. It was reported by The Bradford Era on June 10th, 2011 that Roger Lee Herzog passed on in Port Allegany, Pennsylvania. Herzog was 51 years old. Send flowers to express your sorrow and honor Roger Lee's life. It was reported on May 4th, 2011 that Bette A Ryan passed on in Clifton Springs, New York. Ryan was 89 years old and was born in Port Allegany, PA. Send flowers to express your sympathy and honor Bette A's life. It was disclosed by The Bradford Era on April 26th, 2011 that Rita E Bean (Alcock) perished in Port Allegany, Pennsylvania. Ms. Bean was 89 years old. Send flowers to express your sympathy and honor Rita E's life. It was reported by The Bradford Era on April 14th, 2011 that Dorothy V Niles (Hobbs) passed away in Port Allegany, Pennsylvania. Ms. Niles was 86 years old and was born in Wellsburg, WV. Send flowers to express your sympathy and honor Dorothy V's life. The population was 2,355 at the 2000 census. Port Allegany is a borough in McKean County, Pennsylvania County, Pennsylvania, United States. . . . Here are the results for funeral homes in Port Allegany Pennsylvania. You can find some of the best funeral homes businesses serving Port Allegany. Listing all funeral homes in Port Allegany, Pennsylvania so you can easily send flowers to any location (same day delivery) or find any funeral service. We work with local florists and flower shops to offer same day delivery. You will find budget sympathy flowers in Port Allegany here. Our funeral flowers are cheap in price but not in value.